One of the most common problems faced by search engine optimization companies is how to keep track of rankings within various search engines. Benchmarking and monitoring a dozen or so keyword terms on one site within a single search engine can be a time consuming process. For the professional independent SEO this problem will be magnified again. Imagine then the potential time that could be lost for a large-scale agency with dozens or even hundreds of clients. A basic benchmark measurement that should be a part of any SEO campaign now becomes a resource hogging and costly drain on man hours. The issue of scalability is something we had to address some time ago. There are currently a number of options on the market that fulfill SEO requirements in terms of analysis, measurement, reporting and of course scalability. Our favorite tool to date has been Advanced Web Ranking. This article will give a brief overview of some of the great features that Advanced Web Ranking has to offer. 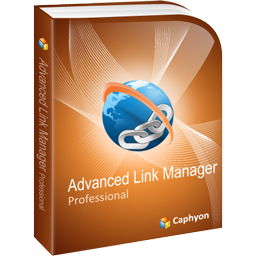 We will also take a look at another useful offering from the same source: Advanced Link Manager. One of the main problems with previous tools that we have tested is that the reported rankings are either just plain inaccurate or they appear to lag behind what is happening in real time. This means that for reporting purposes they become a poor trend indicator at best and are really of little use when it comes to reporting performance to clients. It is of course possible to address these issues by creating your own in house solution. However, for relatively little investment Advanced Web Rankings provide a tool that is accurate, logical to use and is packaged within a very user-friendly interface. Another bonus for any agency or SEO pro is the online support center and the user support forums. For us this makes it a no brainer as an essential SEO software tool in our armory. The key feature provided by Advanced Web Ranking is its capability to run automated site ranking checks on selected keywords. These reports are then emailed automatically to the appropriate account manager/ site owner/ general bod as appropriate. So far we have found the reports to be within acceptable ranges of deviation when cross-referenced against manual checks. One feature that is a good indication of the comprehensive nature of Advanced Web Ranking, is that you can check keyword ranks across literally thousands of search engines – if this is actually applicable. A key feature that is very useful is the ability to track long-term trends in keyword positioning. As already mentioned a very nice feature is that reports can be run and emailed automatically. This means that once the process is in place there is less chance of human error….,it is interesting how often manual rank checking can be interrupted or even postponed due to the considerable time required. Reports can also be FTP’d to a server to allow them to be viewed in a browser. It is also a worth noting that these reports are also highly customizable. Essentially any professional SEO or Digital Marketing Agency can take these reports, enter their own branding, fonts, colours etc, and make the report their own. 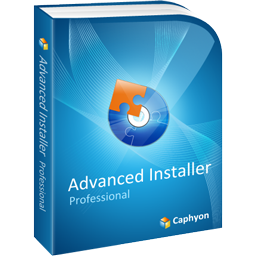 These features are also available in the Advanced Link Manager interface which help to make them two highly compatible tools. Advanced Web Ranking have also gone to the trouble of including a function that will allow you to easily submit your site to hundreds of search engines at once. This really is a great time saver. The strength of Advanced Web Ranking lies in the fact that it integrated so many tool in one package. As any SEO worth his salt will know keyword research is an integral part of any SEO campaign. 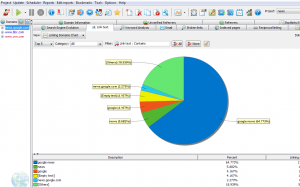 The keyword research tool is particularly useful as it actually consolidates multiple keyword research tools. These include Google’s Keyword Tool and Word Tracker. To a degree this offers something of a one-stop shop for keyword research. Keyword suggestions, estimated search volumes and keyword density are all areas to be addressed within this tool. Advanced Link Manager has proved something of a revelation in terms of developing a really in depth understanding of various sites differing link profiles. Link Manager allows you to identify and explore the sources of back links to your site. Monitor Reciprocal links with automated notification if any disappear – a common underhand SEO trick. The key benefit of Advanced Link Manager is that it gives you an overview of all the inbound links to your site across all search engines. It quickly becomes apparent if you have ever tried to use Google to evaluate a back link profile that you are not being given the whole picture. Advanced Link Manager is ahead of the game here because you are able to get a much better understanding of your sites whole back link profile. Other key points to note that will be useful to any SEO is the ability to indicate whether a link is passing link juice (whether it is follow or nofollow). Advanced Link Manager also crucially allows you to understand the keyword terms that people are using as anchor text to link to your site. This is of great value if you discover that 100% of your back links have your company name as the anchor text when in fact you need to rank for a particular product name. This information will allow you in turn to refocus your link building activities.